Steel is one of the worlds most widely used materials and is used in hundreds of products we come in contact with in our everyday lives. Known for its strength and durability, steel is used in the production of our cars, ships, homes, appliances, cutlery, etc. With so many applications and uses around the world it is important to recycle this natural material. Luckily the process of steel recycling is much easier and cheaper than other forms of recycling such as paper and plastics recycling. But how is it done? Step 1: Collecting and Sorting- The first step involved in any recycling process is the collection of the product. Here scrap metal items such as steel or steel alloy wheels, bikes, batteries, and kitchen sinks are collected and brought to a metal recycling plant. Once the scraps are at the plant the items are sorted, they are ready to be processed. Step 2: Crushing and Shredding- During step two of scrap metal recycling, the collected and sorted scrap metal gets crushed to make it easier to handle. Hammer mills then shred the metal to small pieces roughly the size of your hand. These pieces are then transported on a conveyor belt to the next step in the process. Step 3: Separation- The separation of the shredded metal starts when the metal is placed into magnetic drums. This is done to separate ferrous and non ferrous metals. Non metallic materials such as paint or plastic are then removed by blowing extremely hot air through the shredded metal. Step 4: Melting and Purification- The final stage in the steel recycling process is to melt the scrap metal pieces in large furnaces. The non ferrous and ferrous metals are melted in separate furnaces due to their specific properties. These furnaces are equipped with jet stirrers that circulate the metal in the furnaces to ensure even heat distribution. While in their liquid molten state the metals are purified by electrolysis before being poured into molds and cooled. There are several economical and environmental benefits to steel recycling. The process of recycling steel requires 75% less energy than manufacturing it from raw materials. It also conserves a variety of natural resources and reduces our greenhouse gas output. Recycled steel has the same strength and durability as newly produced steel. 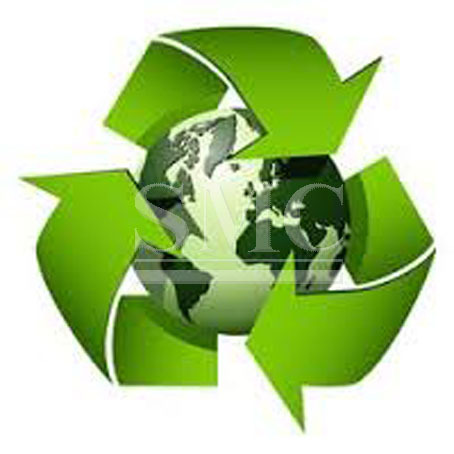 These benefits in addition to the ease and low cost of the process make it the most recycled material in the world.